Remember those reader shots we had of the Droid Incredible displaying its inability to withstand a simple pocket drop? Well guess what DI users! 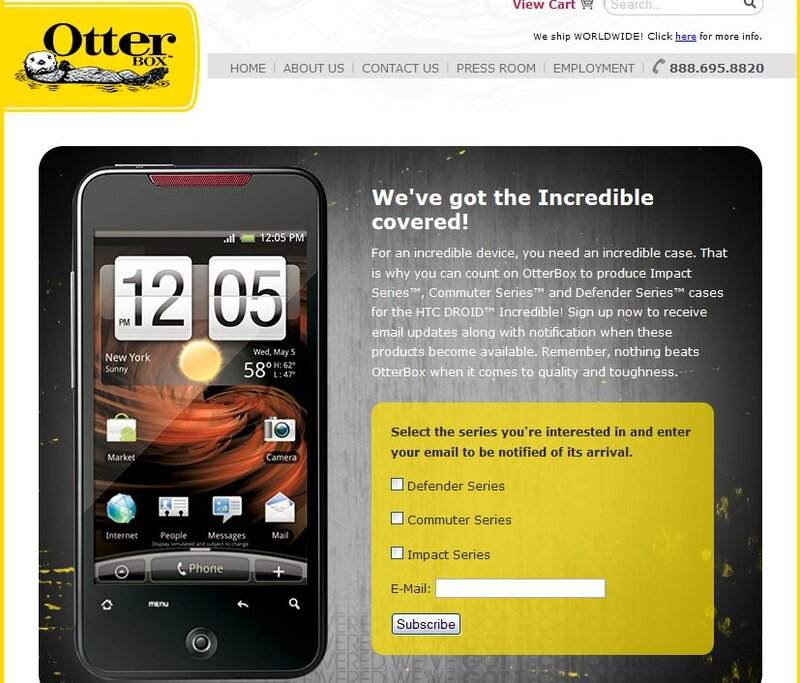 Otterbox and their series of ultra-protective cases are on their way! You can compare these to the Body Glove cases you’ve seen in the past for the Motorola Droid which many consider the top dog for maximum protection. Follow this link to choose your case and sign-up to be notified when it’s ready.